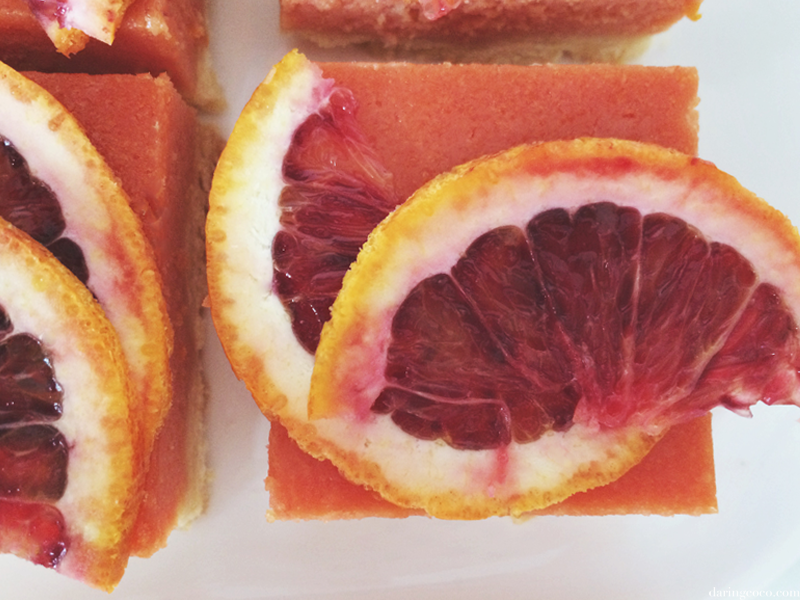 I love blood orange. I always gravitate towards anything that incorporates this fruit; specifically drinks and cocktails. That and pink grapefruit. 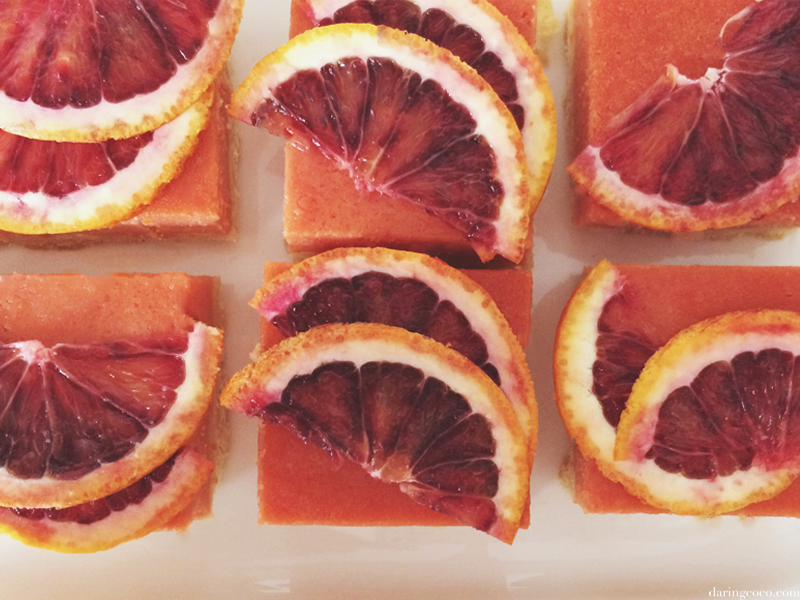 That said, I can’t say that I’d ever actually consumed a blood orange in its initial fresh form. Mostly because I’ve never really encountered it in stores; not to my knowledge at least. That was until a few weeks back when I found myself traipsing through another supermarket. There they were hiding discreetly amongst the other oranges. Just nestled between casually, bundled en masse in a red netted bag. As if I’d encountered the holy grail itself, I rushed forward and grabbed two bags then dashed to the exit. Pushing past weaving trolleys and meandering children, knocking down any senior citizen that stood between me and the self-service check outs (I must point out that the later is seemingly a gross exaggeration. You don’t think I’m that appalling of a person do you?). I was caught in a wicked fog of blissful greed wanting to go straight home, needing to bite into that juicy, crimson flesh and savour it. Only when I got home it suddenly dawned on me that I just purchased twenty blood oranges. That is an excessive amount for one individual. Thoughts then turned to slight panic and trepidation over my apparent lustful avarice. 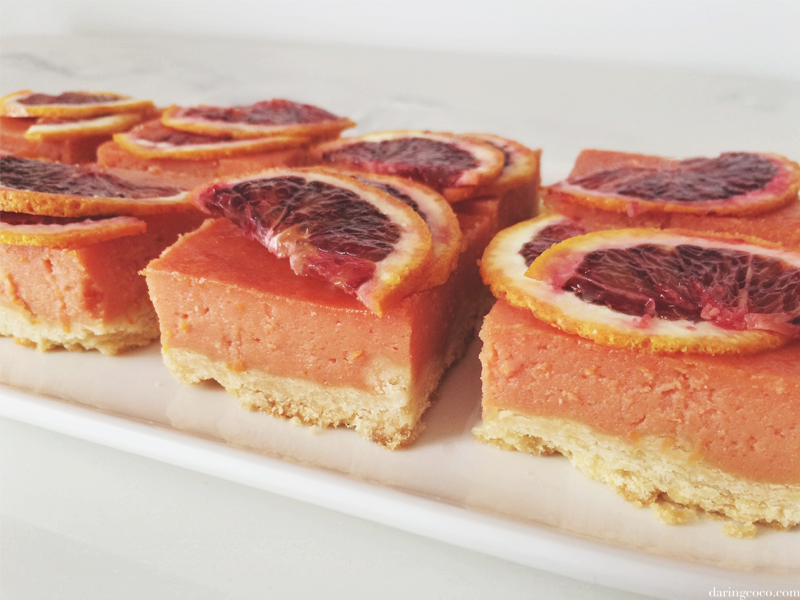 What the hell was I going to do with twenty blood oranges? 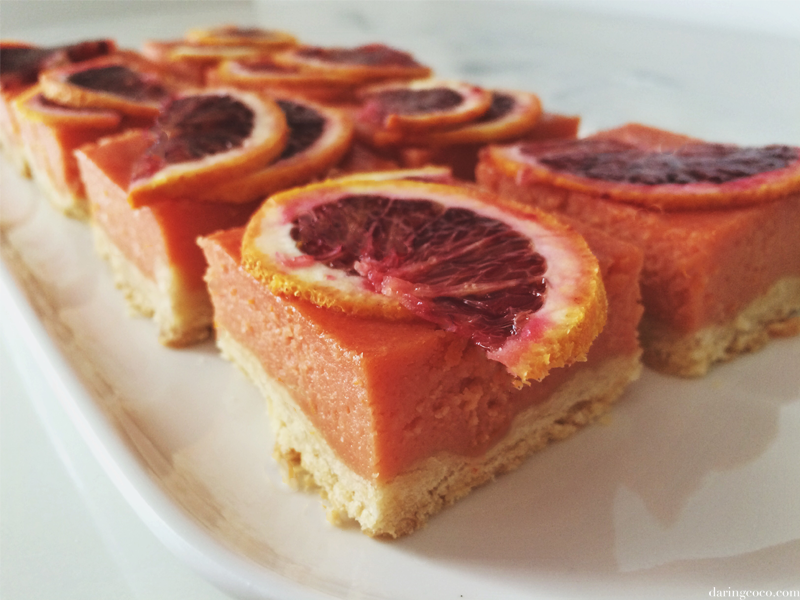 Thank God for Pinterest because I found an abundance of uses including this beauty of a recipe from The Baker Chick for blood orange curd bars. 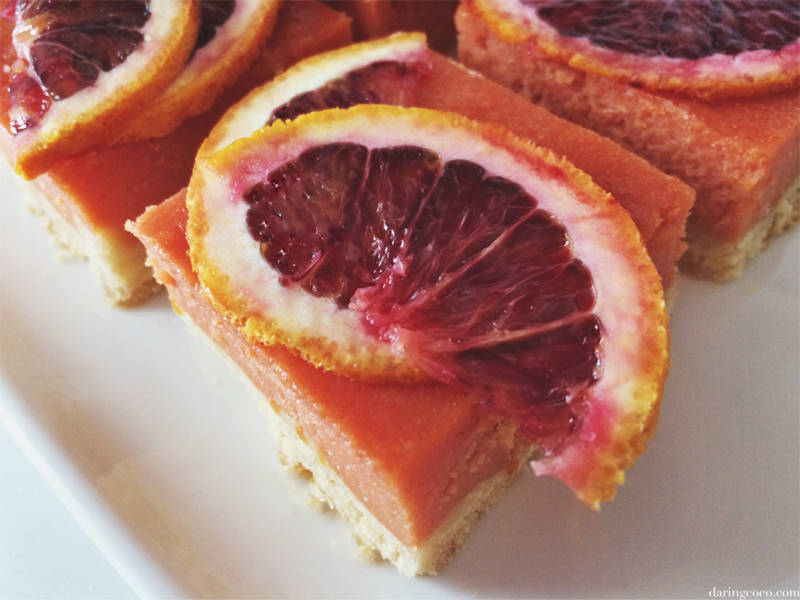 These blood orange curd bars were fairly easy to put together, I struggled slightly over the curd as I do with anything that requires the use of a pot and/or stove. And as mentioned in the recipe I also decided to add some food colouring to the curd to allow that vibrant hue to remain whilst baking. And I’m glad I did because I wasn’t even happy with the end results, I wanted them much more darker than the muted colour that came out of the oven. So I suppose on the next batch I’ll have to saturate the curd further.